While supplies last, JetBlue is once again offering an “All You Can Jet” pass, good for travel between September 7 and October 6. The cost is $699 for travel seven days a week, or $499 if you choose not to fly on Fridays and Sundays. This is very similar pricing to the promotion they ran last year, where it was $599 for travel any day of the week. The pass has last seat availability, and tickets need to be booked at least three days in advance. Everything is covered, except taxes for Puerto Rico and international destinations. 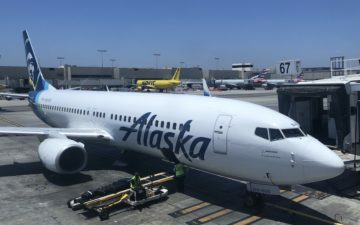 You earn 3,000 TrueBlue points for purchasing the basic pass, and 4,200 points for the unrestricted pass, though you don’t earn additional points per flight. If you’re inclined to fly JetBlue and have the time, this is a pretty unbeatable deal! it’s good if you need to be somewhere and for business people. Or if you need to visit your blogging crush and chase him about the country.